Lol, okay, I’m already late I know, but it’s taken me nearly a week to process what’s happened! 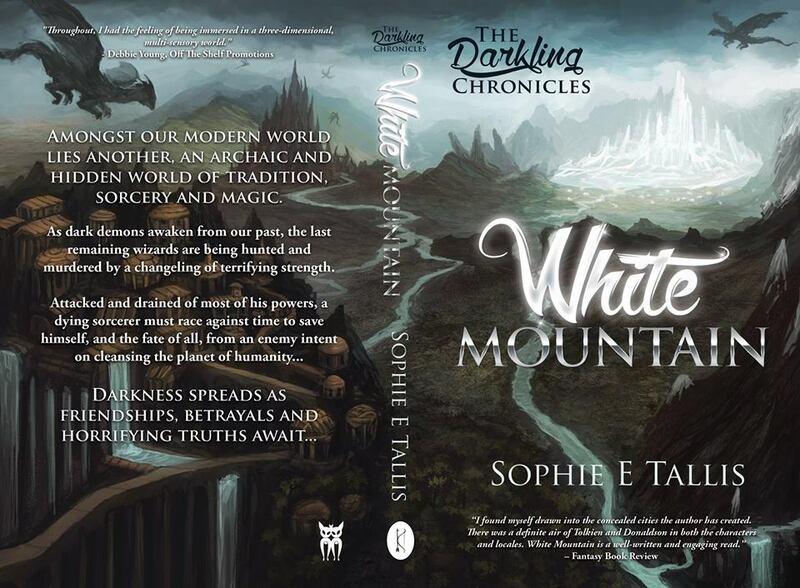 My epic fantasy, White Mountain, the first of my Darkling Chronicles trilogy, was brilliantly published by Kristell Ink Publishing and Grimbold Books last week on 1st December 2014!!!! To say I’m ecstatic would be a gross understatement, kind of like saying that George Lucas is only vaguely fond of science fiction! 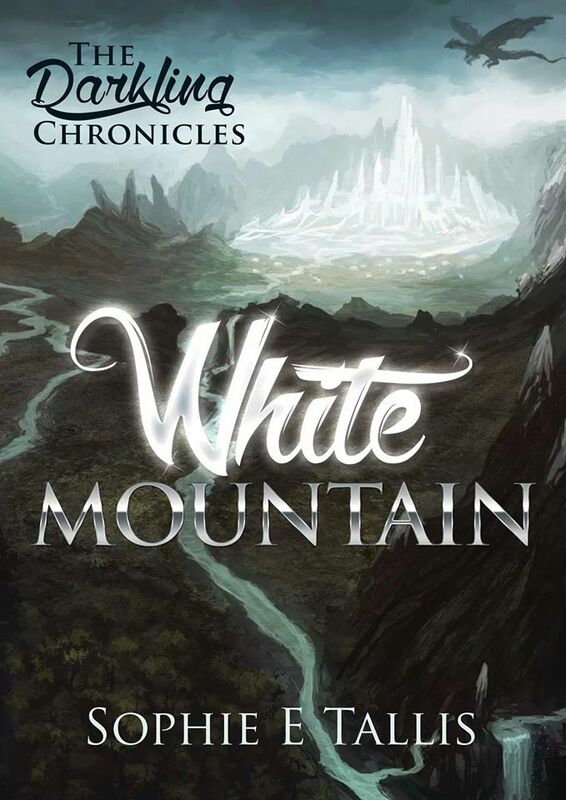 My wonderful new publishers are a world, in fact, a galaxy far far away from what I had encountered previously and the level of dedication, hard work, expertise and passion with which they have approached the publishing of White Mountain, is more than I could ever have hoped for. 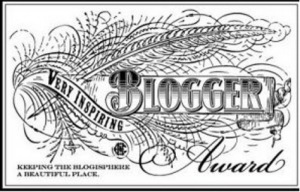 From the attention to detail, the editing, the formatting, the layout, the beautiful calligraphy, not to mention the AWESOME original artwork commissioned for the AWESOME new cover!!! Wow! I’ve gone from hell to heaven in one leap! I won’t dwell on the past two years, mostly because this is an incredibly happy time and I don’t want to miss a blissful second of it! I’m humble and thankful beyond words, but mostly, for the first time in ages, I am really truly excited, thrilled and proud to have my novel, a book that took ten years in the writing and researching, finally published as it always should have been! So, before I continue gushing all over your lovely carpet, what is the book actually about? Well, beyond the plot itself, a struggle for survival against all odds, the courage it takes to stay the course and an epic showdown between good versus evil, the book is also about identity. 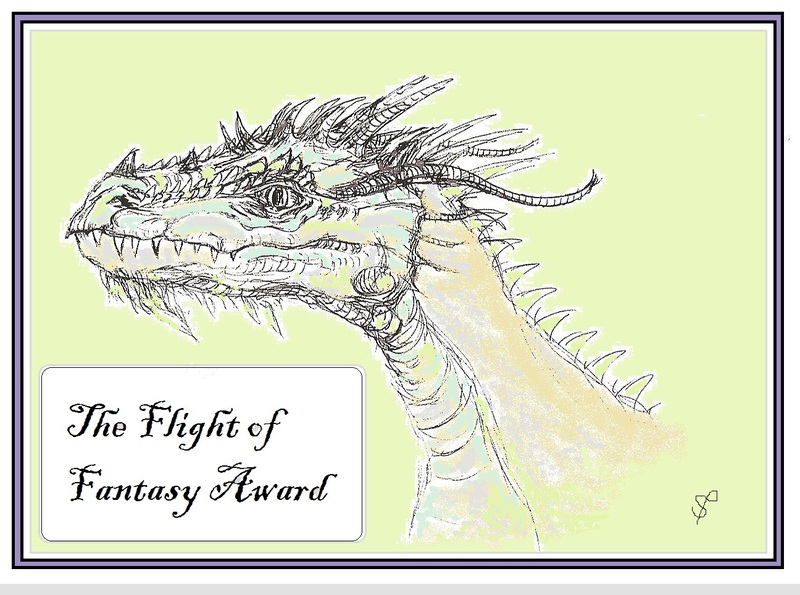 Yes, it’s an epic fantasy in the old-fashioned ‘high fantasy’ tradition, but the themes run deeper than just the action. Throughout the book, the primary issues are around identity, how do we define it, define ourselves? Are we fated to repeat history, to be slaves to our genes? What defines family? Is it the people we are related to through blood that constitute a family or the people we choose to have in our lives, people we love and trust? I have my own personal reasons for being interested in that subject matter. I have said on more than one occasion that I identify with Wendya the most, for many of the same conflicted, complicated reasons. The book deals with another of my passions, the transformative nature of the world we live in today. Our disappearing natural planet mirrors the growing confines that many of the main characters find themselves in. Humanity is everywhere, how does an ancient pre-existing culture hope to continue surviving, in secret, under such overwhelming pressures? How can the world continue as it is, with the current level of wanton destruction? In many ways the disintegration of the natural world perfectly reflects the disintegration of the characters own archaic civilisation, long past its prime and teetering on the edge of extinction. I don’t hate every aspect of modern life, like Tolkien generally did, how could I? 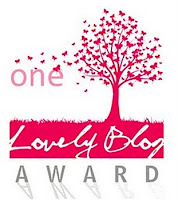 Where would I be without my blog, my TV, my modern comforts? But like so many of us armchair activists, I worry for the planet’s future, for nature and the few wild places left. Even in the small rural idyll where I grew up, the bluebell wood at the bottom of the road that I used to play bare foot in, with the little twisting stream running through it, was torn up and replaced by ten ugly Barratt houses. Instead of building much needed houses on brown field sites crying out for rejuvenation or renovating the UK’s many abandoned buildings, our precious woodlands and green spaces are being carved up. Once lost, those precious green spaces are lost forever. Again, loss is a running theme too. Something we all experience to varying degrees and something that each of the characters have certainly experienced. Loss is as much a part of life as life itself, it is something that can define us, if we let it, or spur us on to achieve our goals while we still have time. Lol, I’m sounding terribly serious here when I don’t mean to be. 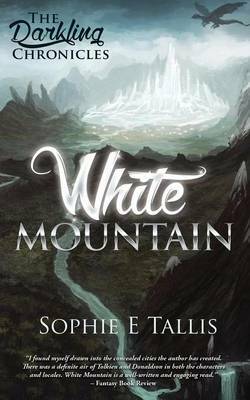 The novel has humour and lightness, particularly in the running banter between the characters, but in many ways it is an exploration of the state of humanity through a fantasy lens. That’s probably my favourite genre, not just fantasy, but ‘magic realism’, the blending of the real world with the fantastical one. The midday sun passed into a hazy afternoon. The last soldiers descended, and the host were on their way again, marching at a great pace to recover lost time. The landscape changed around them. Flat plains and rambling hills of tussock gave way to gnarled weather-beaten rock and thicket beds, their needle like thorns starkly black against the grey granite. The ground sloped steadily downward before levelling, where the barren expanses of rock fell away into mud, reed and bog. They had reached the Shudras, the silent marshes. Slimy quagmires stretched out before them as an endless sea. Troughs of stagnant water riddled their way into hazardous deep pools. Foul smelling vapours rose from the ground in choking clouds. The thought of crossing such a place lowered all their spirits. “How far do these marshes stretch?” Korrun asked Hallm. “Eight and ten leagues at the shortest crossing, which is here,” he replied. The King’s stoicism gave way to anger. “How could this happen? We sent scouts ahead to gauge the terrain. Why did they not report this? Bring them here!” he demanded. Frell whispered into his father’s ear. The dwelf watched the King’s face change, an unmistakable flash of shock. The news was not good. Korrun glanced at Wendya and the wizard. As if reading his mind, Gralen stepped forward. King Baillum managed a brief smile. “No obstacles too great? We shall see,” he said beckoning to Sedgewick above. Sedgewick and the other dragons swooped down to carry the various wagons and carts, siege-rams and battle gear, too heavy for the marshes. The most careful dragons carried the nervous beasts, zebu, water buffalo and battle oxen, the eighteen leagues north, to dry land. Following Korrun and Hallm, the army began their arduous crossing of the Shudras. It was well into the night before the last exhausted traveller reached the delights of hard ground once more. They set up camp, the slimy mud and stench of the marshes clinging to each bedraggled member as an unwelcome reminder of the day. A deep unease fell on them. Korrun sat quietly by one of the campfires, listening to Lord Tollam and Hallm speculate, in hushed tones on the battle to come. “It could be a Hal’Torren’s choice all over again,” Hallm commented. The other dworlls nodded grimly. “Hal’Torren’s choice? What’s that?” Korrun asked. “How did it end?” the dwelf asked quietly. “Morreck is a fengal beast, a monster!” Korrun said through gritted teeth. “Yes, of the worst kind…” replied Tollam. Hallm looked at his father for a moment then turned to the dwelf. “Have you ever faced a Hal’Torren’s choice?” he asked. Korrun shifted uneasily, his face half hidden in shadow. “Once,” he whispered. “What happened?” Hallm asked, trying to hide his surprise. The dwelf stood up, his eyes lost in the fire. “I made the wrong choice,” he said simply, then turned and left.